The company's Slack competitor will debut next week. Microsoft is preparing to officially launch its competitor to Slack, Microsoft teams which was first announced last November. 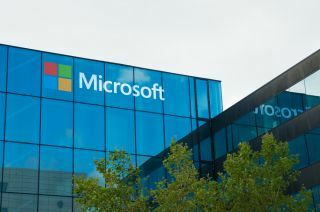 The company will begin the rollout of its new product by first making it available to Office 365 customers next week. Microsoft will then follow this up with a launch event and a global rollout on March 14th. Microsoft Teams was unveiled last year as an alternative to Slack that offers users an experience that is integrated with its existing Office products. Users that are already heavily invested in Microsoft's ecosystem are the company's target audience and the new product will deliver a much more streamlined experience. So far the company has demonstrated how Teams is integrated with its Skype messaging platform which can be used for audio and voice calls from within the service. Users will also be able to connect Twitter accounts to chat rooms and no doubt a number of other third-party services will be supported by the product after its launch. The launch event for Microsoft Teams will take place online on March 14th at 11:30AM EST during which time we will see how well it stacks up when compared to Slack.